Texas happened. It was filled with piles of lifers, bigger piles of ABA birds, and even bigger piles of year birds. There was sweat, ticks, chiggers, thorny plants, slippery slopes, border patrol, and a mishap at the mouth of the Rio Grande resulting in a drowned phone (not mine). None of that matters. 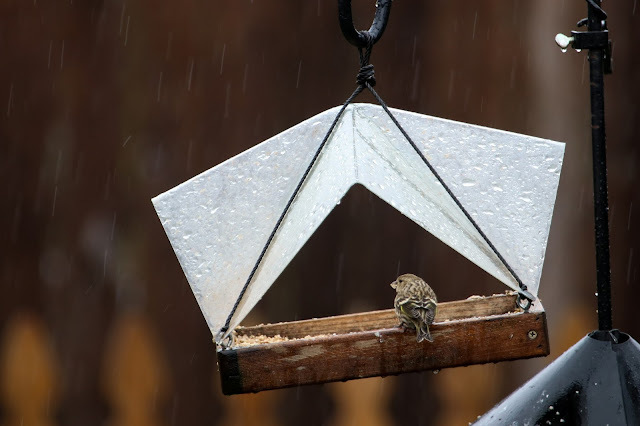 The birds were worth it. It all started last Wednesday afternoon. 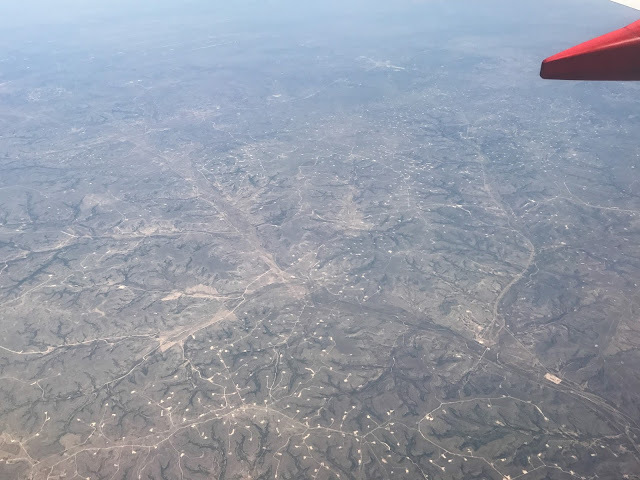 Audrey and I flew into San Antonio, after passing over these interesting patterns on the landscape which I learned were roads made to get to potential oil drilling locations. Welcome to Tejas. We figured out where to pick up our rental car and headed west to the Lost Maples area of Texas Hill Country where we stayed two nights at Foxfire Cabins. It was still light out when we arrived and the birds were quite active so instead of going to find food we wandered around chasing everything that chirped. We have entered the season of driving east. 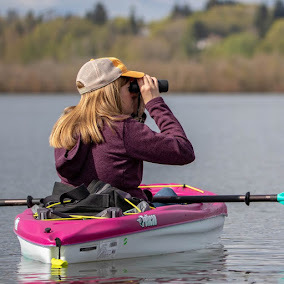 There are early wildflowers blooming in the gorge, there are year birds waiting in the high desert, and most importantly, there's a better chance of dry weather east of the Cascades. On my recent weekend I drove east to Larch Mountain to cry over new clearcuts and poke around. 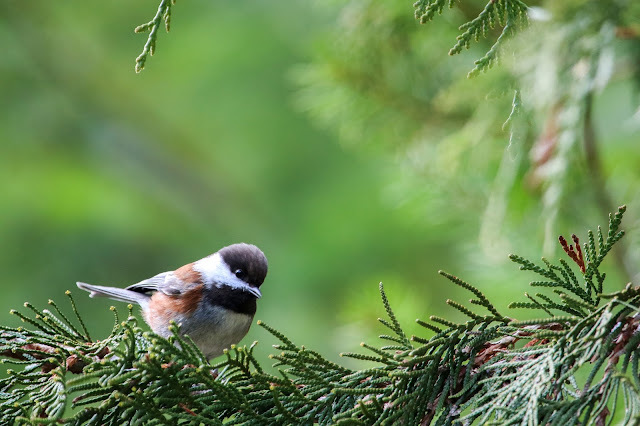 Bird activity was minimal though a Chestnut-backed Chickadee came in to check me out. On the edge of a clearcut I saw a Red-tailed Hawk flying and it eventually came over and soared right over me for awhile. It had a stick. It soared with two other Red-taileds briefly before cruising down straight to the trees on the edge of the clearcut and depositing the stick somewhere. It reappeared soon after without the stick. I can only hope on my next visit those trees are still standing. On Friday Jacob and I drove east to Catherine Creek to look for wildflowers and birds. Grass widows were the main attraction flower-wise.